We are always getting questions about Bulldogge nutrition!!! So I hope this will help. These are just little things we do ourselves and encourage our bully owners to do. We have links to some of these products on our Links page. First and foremost we feed our bullies a high quality grain free food. We have had success with Taste of the Wild or Nature's Domain (costco) Sweet Potato and Salmon blend. This promotes less chance of aquiring any allergies and a healthy sound digestive system. We also encourage healthy snacks. Among our bully favorites you will find...carrots, sweet potatoes, apples, bananas, and peanut butter. These are typically handed out when I am cooking. They love them and the are good for them. Stay away from table scraps, grapes, onions, garlic, and mushrooms. We also recommend www.meatlockertreats.com for a variety of wonderful homemade treats local here in Washington!! Not sold in stores please click below to order yours today!! I can't rave enough about this supplement!! 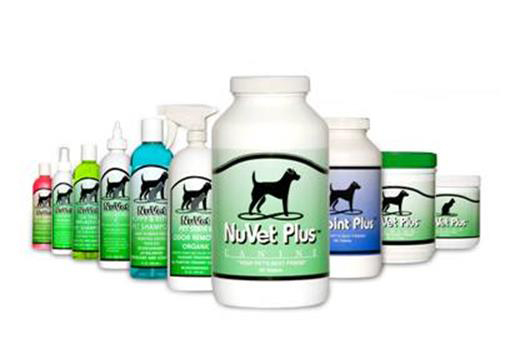 We currently use the NuVet Plus with all of our bullies. It is an all naturual immune boosting suppliment. The bullies love the flavor and we love the health benefits!! Help Heal and Protect your pet for life!!! By protecting your pet from the effects of free radicals NuVet Plus can help heal and protect them throughout their life. Here is a list of specific ailments that NuVet and NuJoint have been known to eliminate! Added bonus*** Your pet will love the flavor!!! They are made with real chicken liver. Our Bullies hear the bottle and come running! Bulldogges are what we like to call extreme chewers. As long as you keep the appropriate toys infront of them they shouldn't chew on your stuff!! We like to use raw bones, the black kong toys, Large NylaBone products, real bully horns, and Granades. All these toys have proven themselves with our bulldogges. Please stay away from rope toys and raw hide as they can cause serious issues if swallowed!